Now making a full recovery following his heart operation before Christmas, Nic Paton’s experience of being in hospital and post-operative recuperation helped to crystallise some of his thinking around what might help in terms of return-to-work support for those who do not have access to OH. But do you agree? 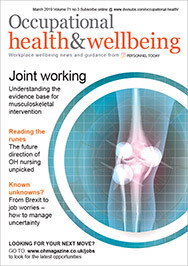 Regular readers of Occupational Health & Wellbeing may recall how in January I used the build-up to my heart valve replacement operation before Christmas to reflect on some of the challenges that exist around extended absence, rehabilitation and return to work, especially for self-employed workers such as myself. I argued that, with self-employment growing exponentially as a way of working, it would be valuable to have a debate around how such workers and, indeed, those working for employers without access to occupational health, could be better supported by the state or NHS if or when they needed to take time off for an operation or a long absence. I also argued this should be on the agenda at least for the government’s ongoing review of workplace health. Four months on, I’m very glad to say my time in hospital went extremely smoothly. I experienced none of the quite common complications that can occur when the heart is restarted, including arrhythmia, blood clots and kidney failure. In fact, the only complication, if you could even call it that, was some temporary temperature spiking (because of fluid on one lung) that was cleared up with a short course of antibiotics. Once home, while I did have one episode of arrhythmia (on Christmas Eve, naturally), generally my recovery was uneventful and I was able to begin easing myself back into work from about six weeks. My biggest return-to-work issue was extreme fatigue – a complete fog of tiredness – unsurprising in retrospect after what my body had been through, but not something I had especially anticipated. Yet even this gradually lifted over time and it was simply a case of trying to be sensible and not overdo things. Nevertheless, while my experience was straightforward, I did use the time, both in hospital and afterwards, to reflect on the issues I had raised in January, in part as a result of conversations I had with the man in the bed opposite me on the ward – and I’ll call him Dave. Dave was 49, also in for an aortic valve replacement and also self-employed, in his case as a landscape gardener. He’d gone for a mechanical valve and so his recovery was going to mean managing both the physical healing process and making the transition to lifelong use of Warfarin. Moreover, his return to work would mean managing in a heavily physical environment, one that would also often be wet, muddy and full of scope for scratches, cuts and bruising. He admitted that for the first months at least he’d very much have to limit himself to “being the man with the clipboard”. By coincidence, I met Dave again in February, as our eight-week follow-up appointments overlapped. 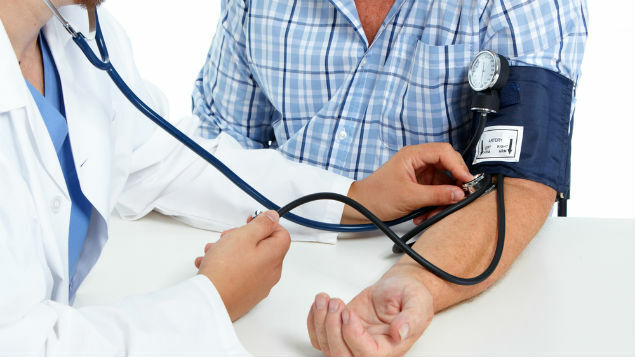 Although we only spoke briefly, he admitted he was struggling with bouts of atrial fibrillation as well as getting his Warfarin levels consistent and properly managed. Whereas I (in my more sedentary and office-based role) had been back working for about a fortnight, he had still (and probably sensibly) not even begun the transition back into work. He also conceded he’d so far been unable to access any local cardiac rehabilitation programme. That latter point echoes both my own experience and research last year by the British Heart Foundation’s National Audit of Cardiac Rehabilitation report which concluded that only half of patients eligible for cardiac rehabilitation take it up, with women less likely than men to do so. In my case, because my hospital had not been local to my GP practice, neither seemed that interested in referring me on for cardiac rehab, or indeed communicating or sharing paperwork generally. I eventually accessed the programme by trawling the internet to find the contact details of the nurse running it and emailing her myself. Dave’s more complex return-to-work “journey” plus the difficulties we both experienced in accessing local support once discharged, to me, reinforce the questions I was trying to raise in January. What conclusions therefore have I – admittedly very much a “lay” observer with just an interest in occupational health rather than an expert – been able to draw? To my mind, and this is I reiterate purely a personal perspective, any new model of occupational health that wants to reach these “difficult” corners of the workforce needs to encompass five elements. 1) Some form of financial safety net. As I outlined in January, because my condition was a slow worsening over many years, I had been able to put money aside to cover for my time off. Dave, by comparison, had only had a few months from diagnosis to surgery. We didn’t speak specifically about how he was going to manage financially, but it was clearly something preying on his mind as he lay in bed. Precisely what form this should take, whether it’s something gathered through taxation or national insurance or perhaps through reforms to statutory sick pay (perhaps some form of universal basic sick pay?) is beyond my technical expertise. 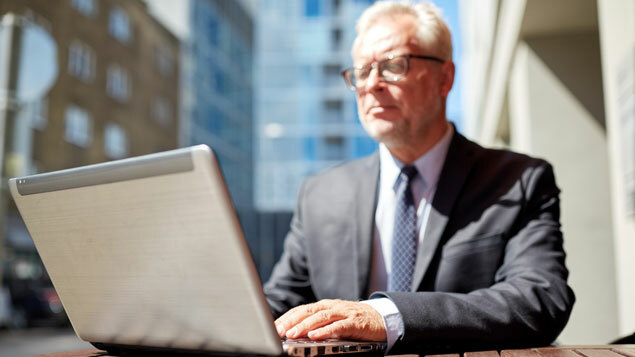 It might not stop self-employed workers struggling back to work sooner than they should because of the fear of losing clients or customers, but access to some form of “paid” sick leave for self-employed workers would be helpful. 2) A GP/primary care-based solution. People who are self-employed or running their own companies or even just working for small or micro organisations, primarily (in fact almost solely) access healthcare in the first instance via primary care, through their GP or practice nurse. The vast majority of people discharged from hospital also make a follow-up appointment with their GP, and this could be a platform for accessing return to work/rehabilitation advice or services. However, as we well know, GPs normally do not have the skill, knowledge, time or capacity to offer occupational health advice and support. Equally, this is not how the traditional employer-funded occupational health model works. Therefore, I would argue, there is scope for creative thinking around how even a basic model of occupational health and rehabilitation support might be provided within the primary care setting. This naturally raises all sorts of questions around funding, referral mechanisms, skillset, capacity, consent and so on. 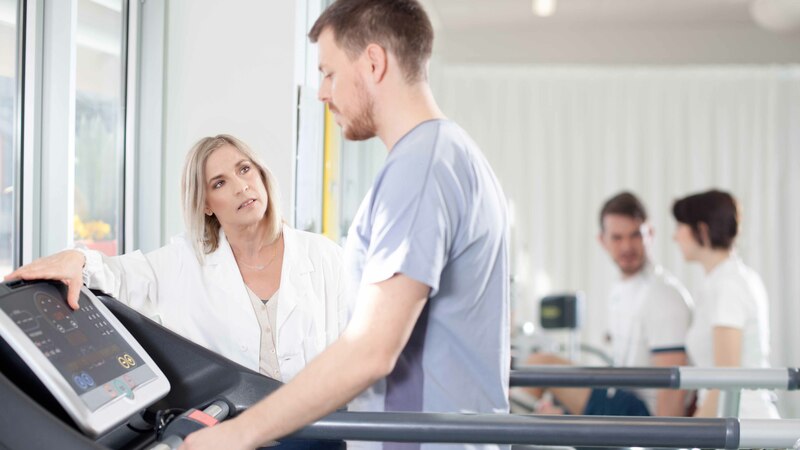 But it might be as simple as giving a practice nurse the skills and training to offer a return-to-work conversation, one that signposts or refers a patient to, say, physiotherapy, rehabilitation and counselling services in their area that they may not otherwise be aware of. Or could it be there is even a revenue-generating opportunity for GP practices to be buying in or delivering these sorts of services themselves? After all, the Ministry of Justice recently floated the idea of GP surgeries providing legal services, so why not rehab and OH? The NHS Long Term Plan, too, already has an ambition to increase the number of first-contact physiotherapists who work in GP practices. 3) Complementing rather than competing with employer-based OH provision. The basic and probably quite generalist model I’ve outlined above would clearly not be able to manage complex cases (though it could hopefully be a springboard to referring on). It would not be able to replicate the expertise and depth of knowledge an employer-based OH service can bring to bear. There would also probably need to be mechanisms to enable a GP-based service to communicate and collaborate with, and complement, any employer or other OH service an employee has access to, if appropriate. Any alternative provision model must also, of course, be discrete or distinct enough from the conventional OH model so as not to undermine the incentive for employers to fund their own OH provision. 4) There shouldn’t be a link to benefits. One of the problems with the Fit for Work service was that it was overseen by the Department for Work and Pensions, which created a suspicion (unfairly or not) that it was less about getting employees back to work and more about managing access to ill health/sickness benefits. To my mind, to generate the necessary levels of trust or engagement, any new service will need to be NHS-based so it is clear it is employee/patient-focused and about health rather than benefits. 5) Digital solutions could also work. 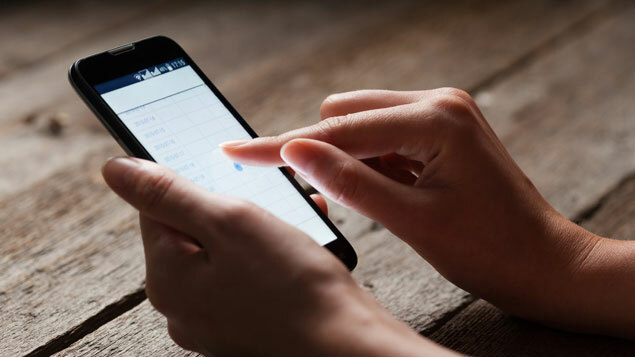 Given our growing reliance on phone-based technology, whether we’re self-employed or employed, there could well be a place for digital as well as primary care-based solutions to be brought into the mix for this sort of advice and support. Again, the detail of this would need to be thrashed out, but it could perhaps be as simple as an app or website offering general support, advice and signposting. Perhaps the surviving and not half bad Fit for Work portal could be a good starting point? To conclude, therefore, the main learning point for me having now been through this process is that, if you are self-employed or an employee who does not have access to bespoke employer-funded occupational health, as it stands there is little if any return-to-work support or guidance available or offered when you are discharged from hospital. You are basically on your own. Secondary and primary care, while great for clinical support, are often not particularly good at talking to each other or facilitating access to wider, community support services. In practice, return to work as a health outcome is often either overlooked or not prioritised. I don’t pretend to have firm answers as to how a new model might work in practice or even if what I have outlined above is feasible, especially in terms of funding and capacity. It may well be I have overlooked some vital barriers or complications. Equally, I am not for a moment suggesting this sort of GP-based, tech-based rehab advice and support model should or could replace existing OH provision or models. All I am trying to do is outline some reflections from my own recent experiences. Hopefully this may generate further debate as to how we can better enable return-to-work conversations and support for those vast swathes of the working population, especially those who are self-employed, who do not have formal access to specialist occupational health provision. I would be interested to hear from (undoubtedly much more expert) readers of Occupational Health & Wellbeing as to whether these tentative suggestions perhaps provide a nugget for a future, more universal model of occupational health provision and support. Please don’t be afraid to tell me what you think.